Reid, J. J. (2011). Foreword to Field Man . Reid, J. J., & Whittlesey, S. (2010). Prehistory, Personality, and Place: Emil W. Haury and the Mogollon Controversy . U. of Arizona Press. Reid, J. J., & S., D. (2009). Prehistory, Personality, and Place: Emil W. Haury and the Mogollon Controversy . U Arizona Press. Reid, J. J., & none, . (2012). Remembering Archaeology's Past: Perspectives on People and Places. University of Colorado Press, Boulder. Reid, J. J. (2011). Remembering Archaeology's Past. Reid, J. J. (2010). Unpacking Population Movement, Migration, and Residential Mobility. El Paso Archaeological Society. Reid, J. J., & Heilen, M. P. (2009). A Landscape of Gambles and Guts. Univ of Utah Press. Reid, J. J. (2008). History of the Papagueria Project 1938-1942. SRI Press. Reid, J. J., & , M. H. (2008). Landscape Formation Processes. Left Coast Press. Reid, J. J. (2011). Introduction. Journal of Archaeological Method and Theory. Springer . Reid, J. J. (2012, 2012-10-01). Why No Kayenta at Chodistaas? . 17th Biennial Mogollon Conference. Silver City, NM. Reid, J. J., & , S. W. (2012, 2012-04-01). Behavioral Archaeology and the Research Program at the University of Arizona Archaeological Field School . Society for American Archaeology. Memphis, TN. Reid, J. J., & , S. W. (2012, 2012-10-01). Rethinkin g macaw Specialization at Paquime . 17th Biennial Mogollon Conference. Silver City, NM. Reid, J. J. (2011, 2011-04-01). Prehistoric Time and Behavior . society for American Archaeology. Sacramento, CA. Reid, J. J., & Snead, J. E. (2011, 2011-04-01). From hewett to Haury . Society for American Archaeology. Sacramento, CA. Reid, J. J., & Whittlesey, S. M. (2011, 2011-10-01). Macaw Symbolism at Grasshopper and Paquime . Arizona Archaeological Council. Tucson. Reid, J. J. (2010, 2010-04-01). Discussant . Society for American Archaeology Annual Meeting. St. Louis, MO. Reid, J. J. (2010, 2010-10-01). The Public and the Private in Mortuary Ritual: Burial 140 and the Plaza-Great Kiva complex at Grasshopper Pueblo . Mogollon Conference. Las Cruces, NM. Reid, J. J., & John, D. (2010, 2010-01-01). Joffre, John, and Jeff: The Early Education of Leland G. Ferguson . Society for Historical Archaeology Annual Meeting. Amelia Island, Florida. Reid, J. J., & Skibo, D. J. (2010, 2010-04-01). Organizer . Society for American Archaeology Annual Meeting. St. Louis, MO. Reid, J. J., & Whittlesey, D. S. (2010, 2010-04-01). Mortuary Ritual at Grasshopper Pueblo . Society for American Archaeology Annual Meeting. St. Louis,MO. Reid, J. J. (2009, 2009-11-01). Panel on the Teaching and Training of Archaeologists . Arizona Archaeological Council. Fflagstaff, AZ. Reid, J. J. (2009, 2009-11-01). To Soothe the Salvage Beast Redux . Arizona Archaeological Council. Flagstaff, AZ. Reid, J. J. (2009, 2010-02-01). Prehistory, Personality, and Place: Emil W. Haury and the Mogollon Controversy . Annual Pecos Conference. Cortez, CO.
Reid, J. J., & John, D. (2009, 2010-01-01). Joffre, John, and Jeff: Observations on the Early Education of Leland G. Ferguson . Society for Historical Archaeology. Amelia Island Plantation, Florida. Reid, J. J. (2008, 2008-01-01). Remembering Archaeology's Past: Perspectives on People and Process . Biennial Southwest Symposium. 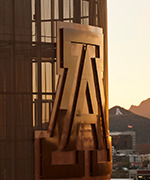 ASU, Tempe. Reid, J. J. (2008, 2008-10-01). Unpacking Population Movement, Migration, and Residential Stability . Biennial Mogollon Conference. Western New Mexico University, Silver City. Reid, J. J. (2012). The Public and the Private in Mortuary Ritual: Burial 140 and the Plaza-Great Kiva Complex at Grasshopper Pueblo. Reid, J. J. (2009). Grasshopper and Point of Pines, Arizona.